Formed on February 23, 1832, from Washington and Wythe counties, the county is named Alexander Smyth, a general during the War of 1812 and later a member of the House of Representatives. 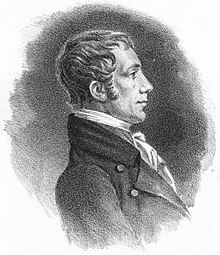 Smyth was born on the Island of Rathlin, Ireland. He immigrated to the United States and settled in Botetourt County, Virginia in 1775 where he completed preparatory studies. He studied law, and was admitted to the bar and commenced practice in Abingdon, Virginia. Smyth moved to Wythe County, Virginia, and was a member of the Virginia House of Delegates in 1792, 1796, 1801, 1802, and from 1804 to 1808. He served in the Virginia Senate in 1808 and 1809. Smyth served in the United States Army from 1808 to 1813. Commissioned as a colonel in 1808, he served as Inspector General to William Eustis, the acting War Secretary. Shortly after the outbreak of the War of 1812, Smyth was promoted to brigadier general on July 6, 1812. During the Battle of Queenston Heights he refused to support his commander, General Stephen Van Rensselaer, a militia commander with no experience. After Van Rensselaer’s disgrace, Smyth was given command and proved himself equally inept. His plan to invade Canada started with the Battle of Frenchman’s Creek but was then abandoned because of problems due to poor organization. After the failed attack on Canada, Smyth was insulted by Brigadier General Peter B. Porter, who accused Smyth of cowardice. Smyth challenged Porter to a duel, but both men went unscathed. The historian John R. Elting wrote of the duel, stating, “Unfortunately, both missed.” In the wake of his failure, Smyth’s name was removed from the U.S. Army rolls. Smyth History after the war, Smyth resumed the practice of law, and again became a member of the Virginia House of Delegates in 1816, 1817, 1826, and 1827. He was elected to the Fifteenth United States Congress and reelected to the Sixteenth, Seventeenth, and Eighteenth Congresses, serving from March 4, 1817 to March 3, 1825. He was elected again to the Twentieth and Twenty-first Congresses, serving again from March 4, 1827 until his death. Smyth County is formed by three valleys: Rich Valley to the north along the North Fork of the Holston River, Middle Valley in the central part of the county along the Middle Fork, and Rye Valley to the south along the South Fork, Holston River. Settlement of what today is Smyth County began in the 1740’s and the area was opened to legal settlement in 1768 with the earliest settlers being primarily of Scotch-Irish and German descent. Over almost two centuries, many towns and villages have come and gone, remnants of some remaining. Among these are Broadford, Sugar Grove, Adwolf, North Holston, Chatham Hill, Attoway, Nebo, Olympia, Cedar Springs and others.